The Dunlop Fort Tennis Balls are pressurised, are ITF approved and have been designed for use on all court surfaces and for players of all levels. Enhanced with the introduction of Dunlop HD Core technology this iconic ball has been re-mastered and re-engineered to increase both its durability and its consistency, allowing players to play with complete confidence. for submitting product information about Dunlop Fort Balls 6 Doz We aim to answer all questions within 2-3 days. for submitting product information about Dunlop Fort Balls 6 Doz. We aim to answer all questions within 2-3 days. If you provided your name and email address, we will email you as soon as the answer is published. 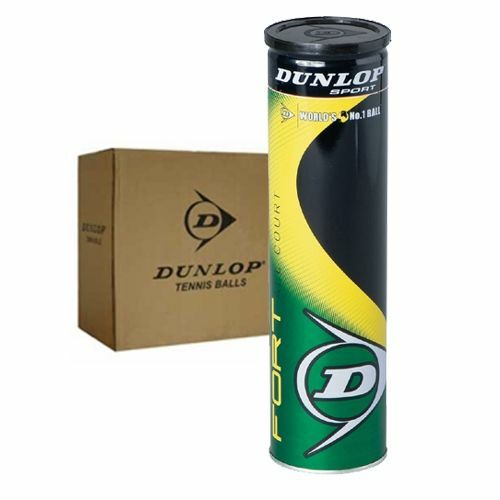 for submitting product review about Dunlop Fort Balls 6 Doz.